Well it is... for the most part. ;) I have a couple more projects to share that I did as the September guest designer for Ally Scraps. First off is a mini album using the picket fence mini by Maya Road and Echo Park paper and cardstock stickers. Don't you just love the shape?! 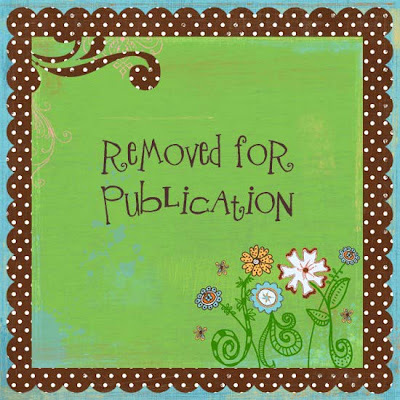 As in my usual fashion, I had fun with the cover while keeping the inside design simple and sweet. 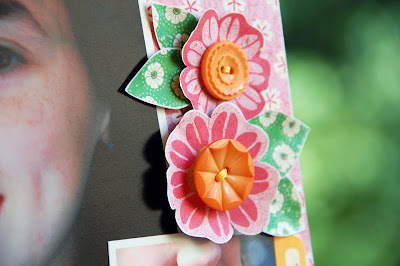 You can find instructions and product links for this mini album at the Ally Scraps blog here. Next is a card that I forgot to post last week. (Oops! I really am a terrible blogger. Sorry about that.) I used some of the Maya Road pennant chipboard shapes for the base of the flower and lots of Echo Park and October Afternoon paper and cardstock stickers too. 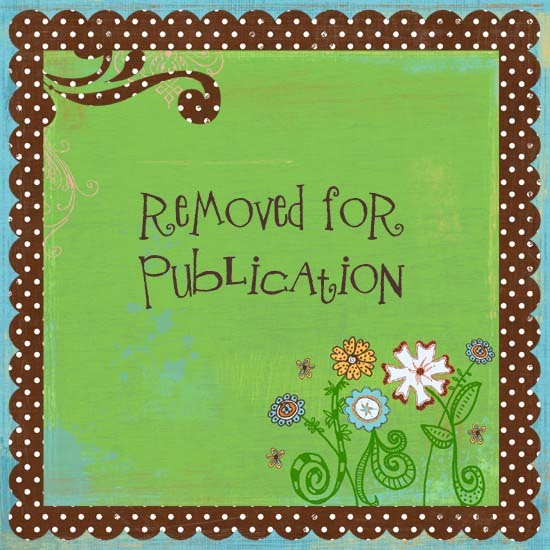 You can find instructions and product links for this card at the Ally Scraps blog here. Hey everyone! 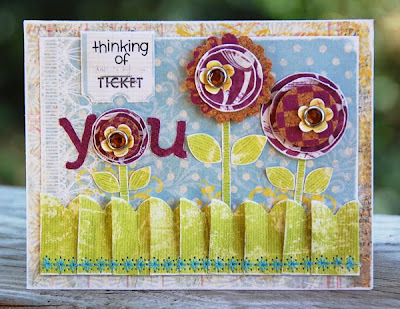 Just thought I would come by and share the card I made for this week's color combo and challenge over at Color Combos Galore. I just love the photo this week's color combo was inspired by, but I have to say this one was a little bit tough for me. It took a lot of digging, but I eventually found some papers and embellishments to work with. The more neutral colors initially scared me, but I ended up really liking what I came up with. The designer's challenge with week was to use handwriting. And while I didn't actually do any handwriting myself, I thought the patterned paper had a doodled kind of look to it that sort of went along with the idea of the challenge. One of my favorite things about doing these challenges is that it forces me to go through my ever-growing stash of scrapping supplies, and I get to use things that I may have forgotten about (like the Fontwerks patterned paper) and mix them with some of my favorite/newer things to use (like the Basic Grey chipboard alpha). 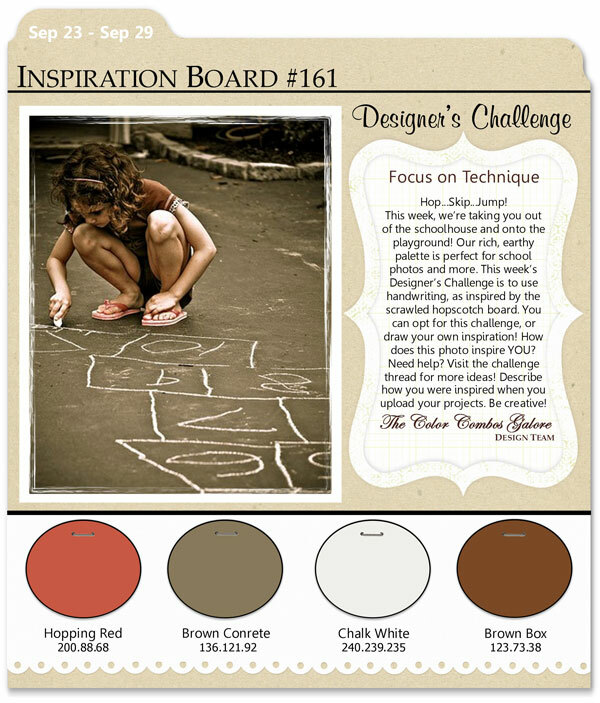 I hope you get a chance to play along this week, and if you do, make sure to post it in the Color Combos Galore Gallery so that we can all see. Yesteday was my turn to post on the Pink Paislee blog. Tuesday is a day to focus on titles, tips or techniques. I chose the technique of paper pleating. The ribbon pleats from Pink Paislee's last release really inspired me. I just love those things! 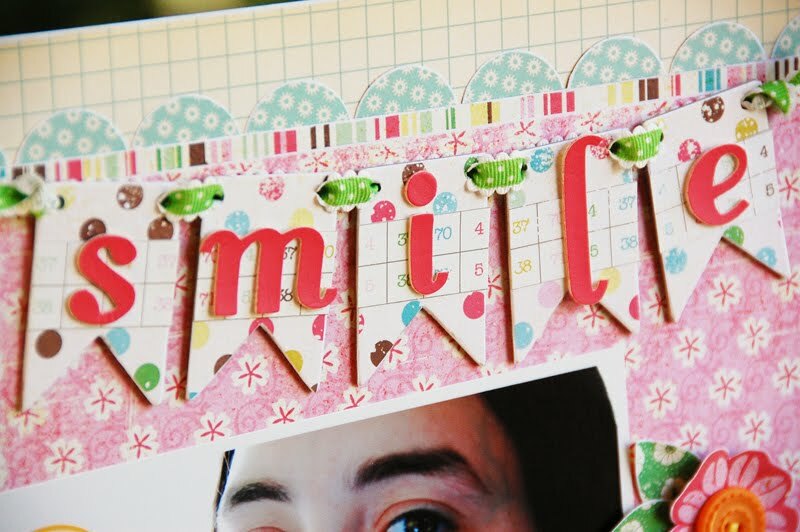 Using paper is perfect for achieving the look if you don't have any on hand. So, I made a set of cards to show a couple of examples on how to use this technique on a project. For my first card, I used an accordian pleat along the bottom edge. 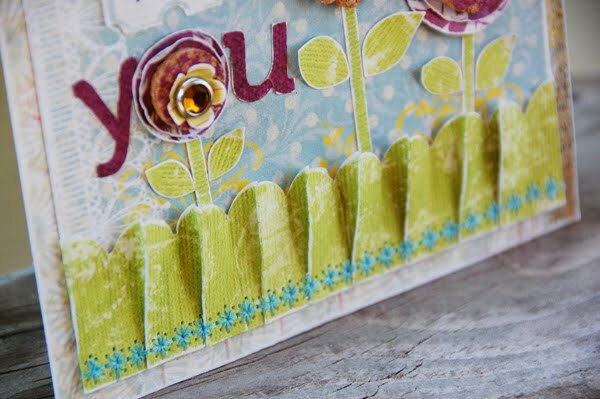 I added a little decorative stitching to attach it to the card (and to pretty it up a bit). For the next card, I wanted to add a little texture to the sun element. 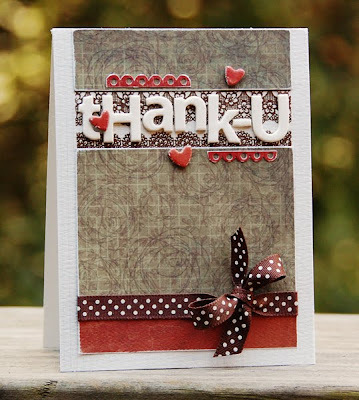 I used a box pleat and added some stitching to attach it to the card also. Hey everyone! How's it going? Just wanted to stop by and share a project that I made recently. This month, I am the guest designer over at Ally Scraps. I got to choose some awesome things to play with. Lots of Echo Park, Maya Road, and October Afternoon goodies. The colors and patterns are so fun to play with... I just can't get enough of them. 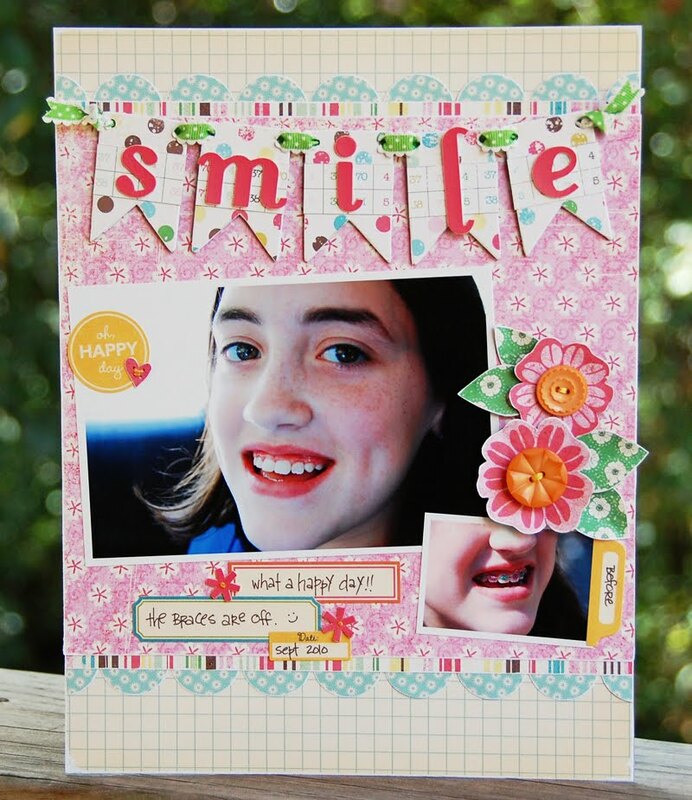 Here is one of the projects I created: a layout about my daughter getting her braces off last week. 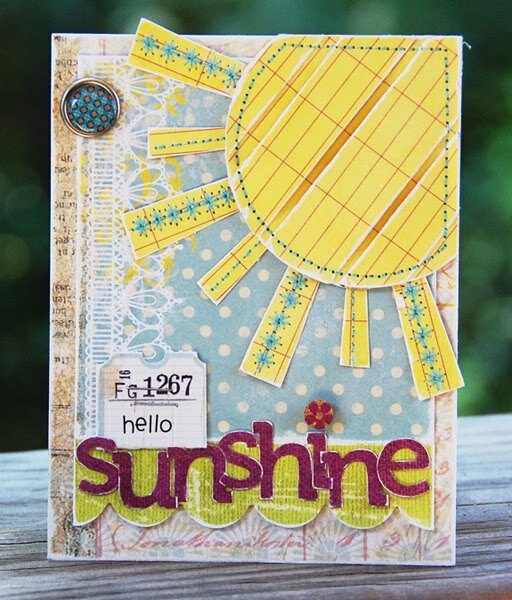 You can stop by the Ally Scraps blog to get a detailed product list and instructions on how to make this layout. I will be back every week over the next few weeks sharing my Ally Scraps projects. Make sure to come by and check them out. 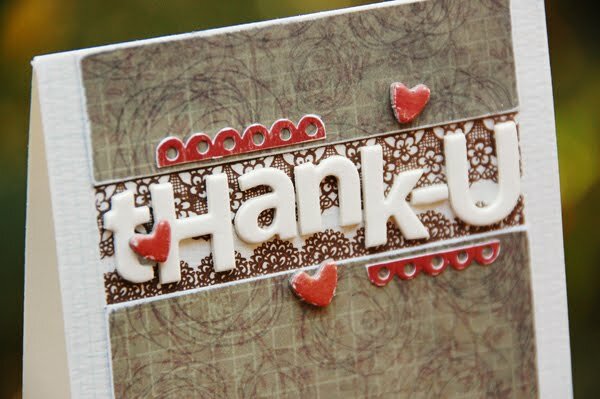 ;) Thanks so much for stopping by!